One of the most popular American breeds. An excellent brown egg layer. The Rhode Island Red has long been one of the most popular American breeds. 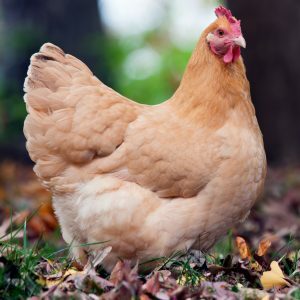 It was developed by poultry farmers in Little Compton, Rhode Island beginning about 1830, wrote Janet Dohner in The Encyclopedia of Historic and Endangered Livestock and Poultry Breeds. 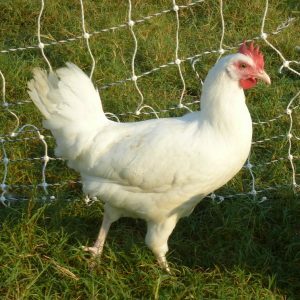 Early breeders sought to develop it as a utility fowl. They were very successful and ended up making one of the most well-known and well-loved utility birds in the country. In 1904 the single-combed variety was recognized by the APA Standard, followed in 1905 by the rose-combed variety. 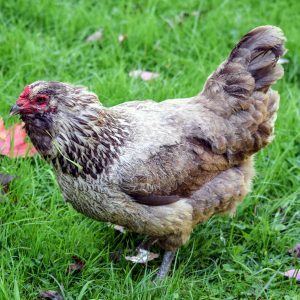 A chicken’s comb plays a vital role in its ability to stay cool in hot weather, and single comb varieties are better suited for warm or hot climates. 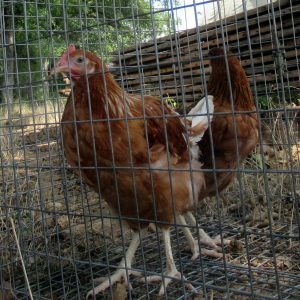 As I write, the [Rhode Island] Red chickens are pursuing the grasshoppers over the oat stubble and through the corn fifty or sixty rods from the house. They are the picture of health, vigor and energy. 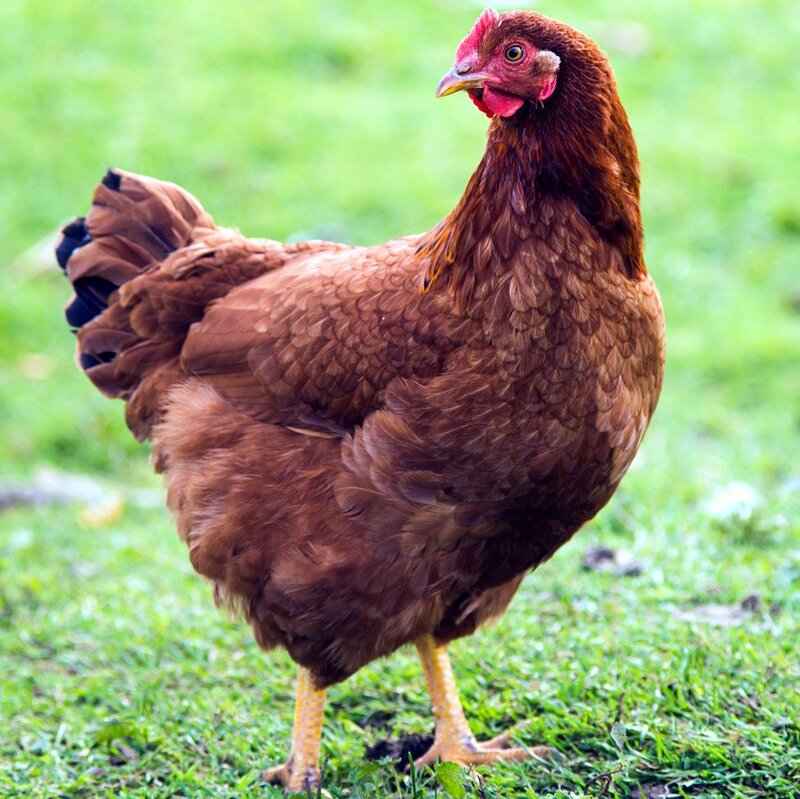 Someone has said: “Doubtless God could have made a better berry than the strawberry, but doubtless He never did.” So we may well say of the Rhode Island Red, “Unquestionably the Creator could have made a better utility fowl, but unquestionably He never did”. 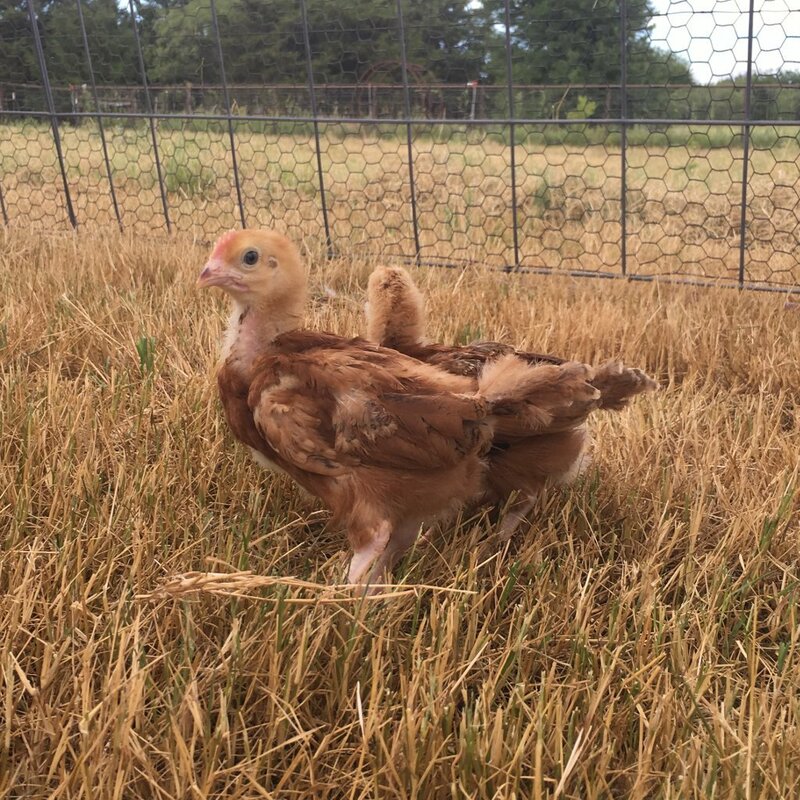 Our Rhode Island Reds come primarily from McMurray and Hoovers hatchery. They are a mix of heritage and production. Rhode Island Reds are excellent layers of brown eggs. If you’re looking for good all-around utility birds for your homestead or small farm, these Reds won’t disappoint you.